An exceptional example of a 3.4 Litre Mk I, this classic Jaguar sets the standard in touring cars, versatile, dynamic and with a proven track record in reliability. 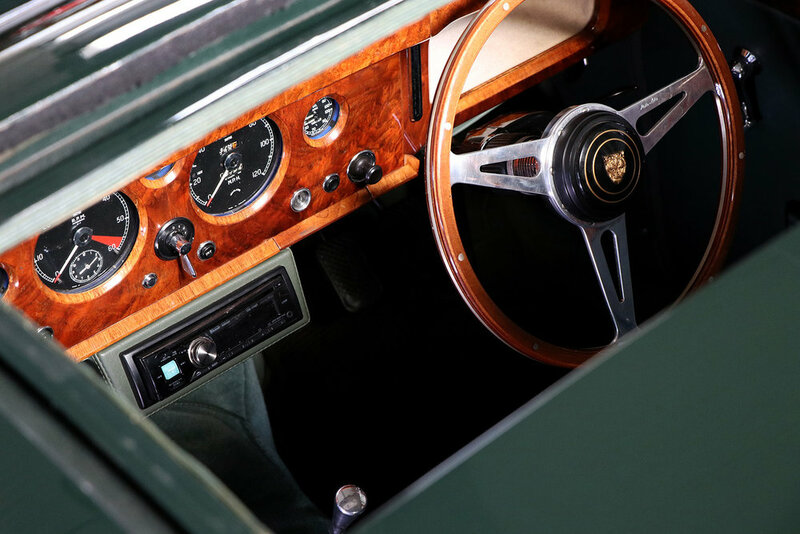 Finished in British Racing Green, this vehicle has been very well cared for by its current owner and is in stunning condition, with new suede green upholstery and refurbished wood interior. An original UK vehicle it is in the ultimate Mk I specification, boasting a factory sunroof, wire wheels, uprated disc brakes, power steering, LED lighting and a 5 speed gearbox. And with handling in mind, the rebuilt rear axle has a power lock differential providing the ultimate Jaguar driving experience. “Tour Master”, Jaguar World, February 2016. 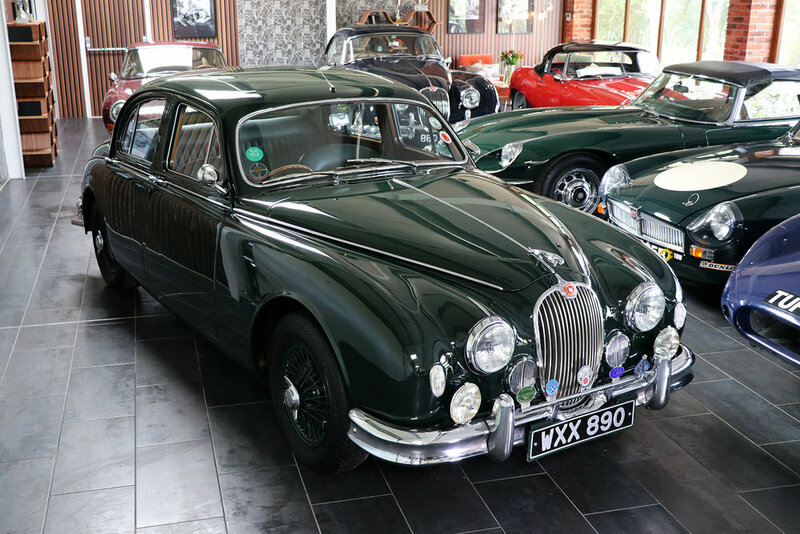 A stunning example of a Jaguar Mk I, this vehicle comes with all original manuals and documentation and provides an unrepeatable opportunity for a true driving enthusiast. Please enquire for full details of restoration and provenance.